Who do we mirror in life? & so, we will reflect and see. With the hope that we will enjoy the meeting tonight with speech and also reflect on oneself. Rahmat Tarsat, CC, attempted a speech in Interactive Reading Project: The Orational Speech. With much emotion and resilience, Rahmat beautifully presented Sheryl Sandberg’s Commencement Speech for UC Berkely’s graduation in 2016. If something bad happened to you, ask yourself: “What could be worse?” Death? It was a speech about resilience, a speech about reflection, a speech about appreciation. 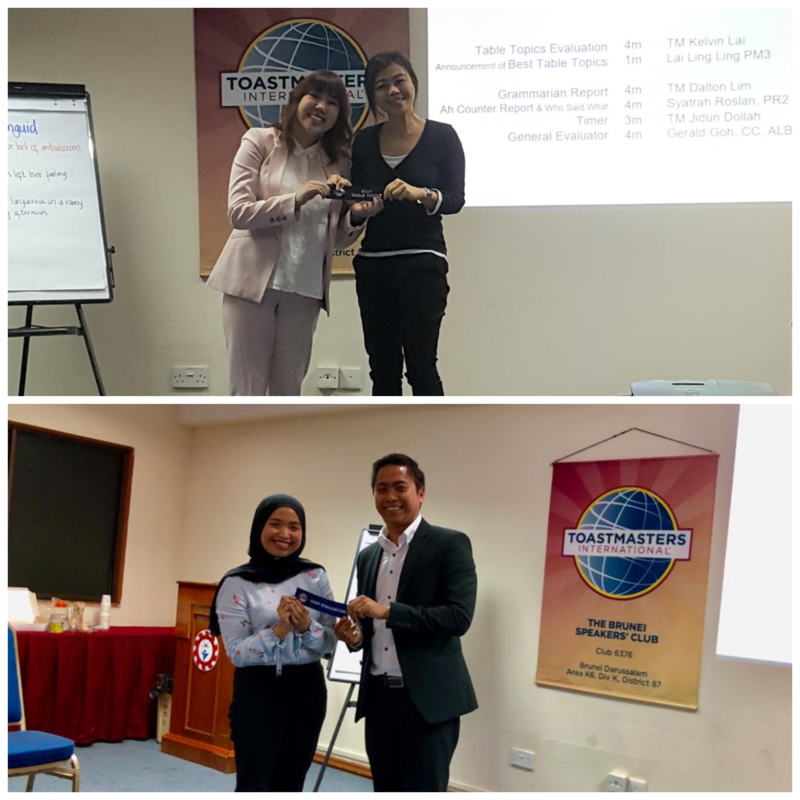 Table Topics were led by Lai Ling Ling PM3 with the theme “Self-reflection”. The first table topics speaker is Heidi Rahman, CC, on who has inspired her the most. To Heidi, her late dad was her greatest inspiration. From him, she learned that “family comes first”. 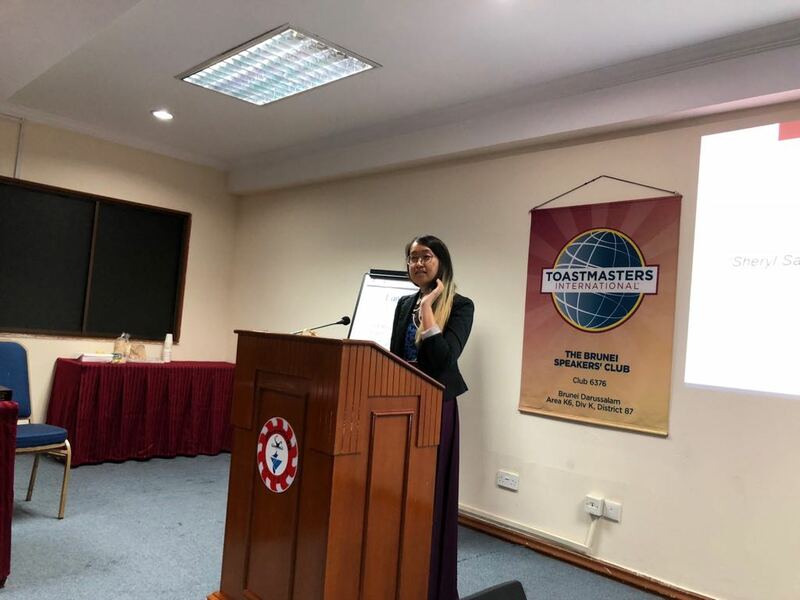 TM Sharon Lim was the second speaker with the question on what skills has been the most useful for her. Sharon answered that there’s two skills that is most useful: how to deal with people, and how to be observant. She explained that there are times that the person that you talk to is unhappy, or not well, it’s better to listen more than to talk more. Our charming TM Philip Mooi was asked the question on which memory would he undo, Philip would like to undo the memories of his early years when his first wife was defeated by cancer. He would choose to go back in time and spend more time with his family. Sofian Mat Suny was a guest speaker for the night that spoke during table topics. With what memories made him the happiest, Sofian said that happiness is a perception we choose for ourselves. Sofian choose to be happy. Guest Member from UBD TMC, Macalister Mac, was given the topic on what has challenged him the most growing up; answered humorously stated it was his family, especially his mother. For Mac, it’s a family bonding activity. The tease, picking on each other and the jokes, that could last for hours on a road trip. Out last table topic speaker is by TM Supatra Lee. What was Supatra’s memorable lesson? She started off on how she scored in her education. During school times, she did above average. At Uni, she barely scored the passing mark. Maths was her difficult subject. Even the lecturer doesn’t understand why Supatra couldn’t understand it. Over time, she realized, as long as she did her best, she will accept the result, success or failure. Supatra concluded with saying failure is not everything. People will see and appreciate the efforts that we did. 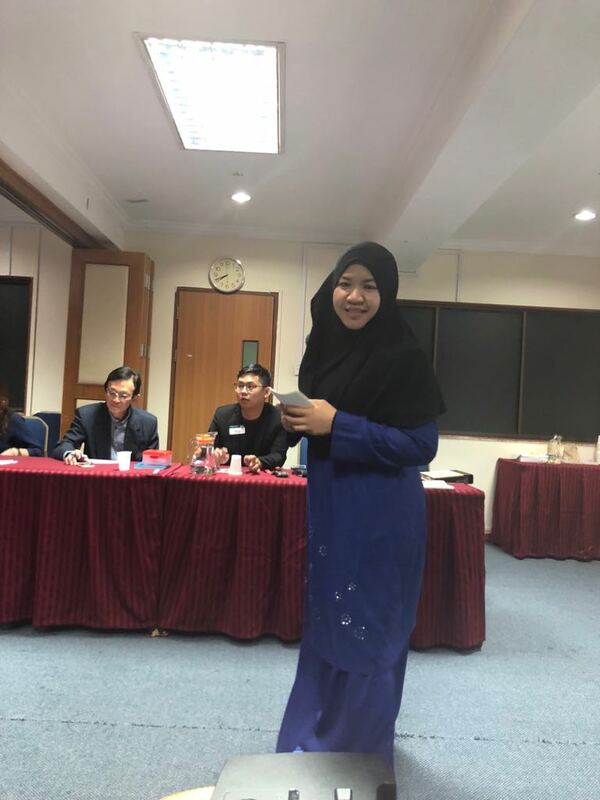 Best Table Topic was won by Heidi and Best Evaluator was won by Syatrah Roslan, SR2 as the AhCounter, congratulations!